Quotations about Angeline Dawes. Quotes to stimulate mind and drive action! Use the words and quote images to feed your brain inspiring things daily! 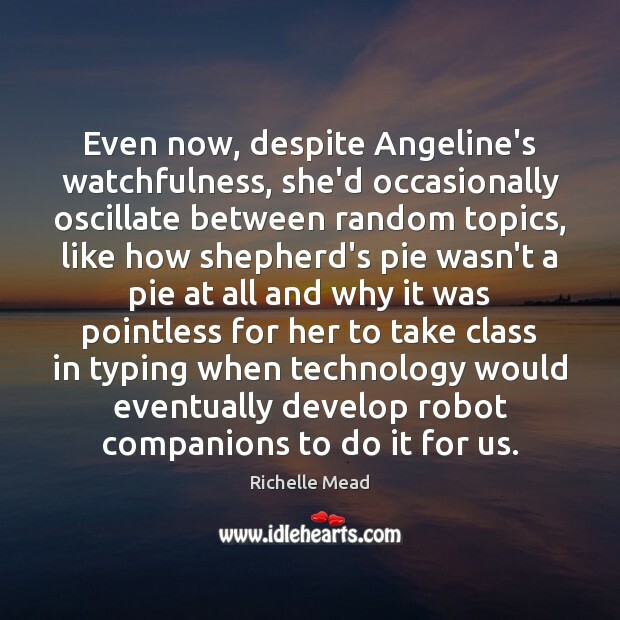 Even now, despite Angeline's watchfulness, she'd occasionally oscillate between random topics, like how shepherd's pie wasn't a pie at all and why it was pointless for her to take class in typing when technology would eventually develop robot companions to do it for us. Our lips met hungrily, and his clever artistic hands wrapped around my hips. A sudden buzz from my regular cell phone startled me from the kissing. "Don't," said Adrian, his eyes ablaze and breathing ragged. "What if there's a crisis at school?" I asked. "What if Angeline 'accidentally' stole one of the campus buses and drove it into the library?" "Why would she do that?" "Are you saying she wouldn't?" He sighed. "Go check it. 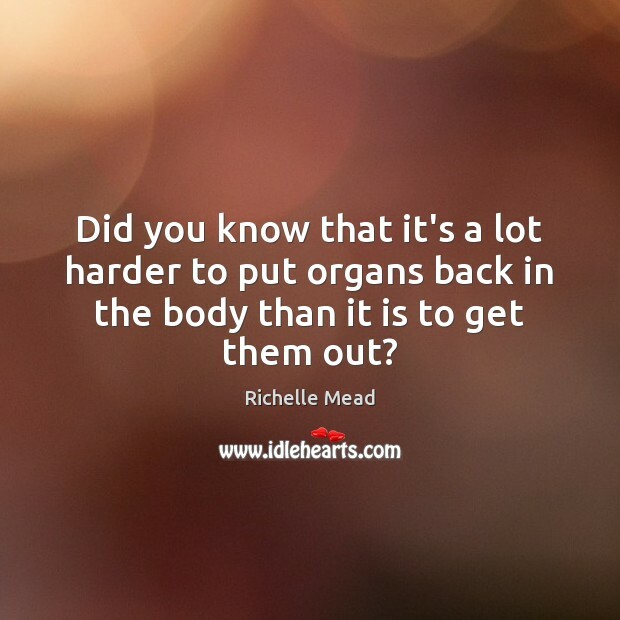 Did you know that it's a lot harder to put organs back in the body than it is to get them out?